Different people define”the man” as different meanings.Definitely sissy is not a nice word to describe a man.Unfortunately the number of sissy in China is increasing year after year.No offence to gay.I mean the characters, more and more good character of the man have been dumped. Just like fearless, responsible, optimistic, spirit of advanture, and never give up. I’m a guy who is really like watching movies, and some movies moved me indeed. I can’t remember how many times i have watched them, they just purified my soul. i wanted to make a list, but i’m afraid that the large number of movies may make my readers boring. So I just choose four of them, i think they are definitely tough enough. Good movies for male. Oh~boy, i just love the original sound, it’s so peaceful, so pure, close your eyes ,all the view in your mind is mountains 、wide field、river、horse riding、no more noise, no more upset, no more impatient and impetuous, you can hear the voice from your heart, just like Tristan. 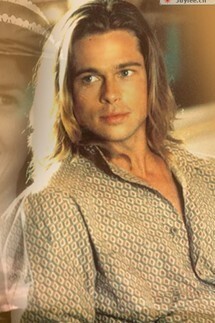 In this movie, Brad Pitt is more than a pretty face and tough, his guilty feeling for regarding Sammuel’s death, it’s not his mistake, not his lapsus. When he is crying at the little brother’s tombstone, what a man, crying doesn’t means weak , or sissy, it’s the feeling from the bottom of his heart.I just can’t forget the footage that Tristan’s riding appear in glory of the sun. (frist come on the stage).And the footage that he embraced his old father when he realize what had happen to his old man during he abandon his family. (his father got apoplexy because of the sadness about his best son ) Tristan was born in fall, and his life was a real legend, the son of an officer, the student of a hunter, he fears nothing, no one can interrupt him, he only followed the voice from his heart. I really can’t imagine that what’s the end of his life like, we don’t have any ideas, the last footage of the movie is that old Tristan was riding in the forest, a grizzly appeared suddenly, Tristan felt off his horse, he fighting with the grizzly……what a perfect legend of his life. When you heard the original sound “Gonna fly now”, what did you want to do for the initial feeling. 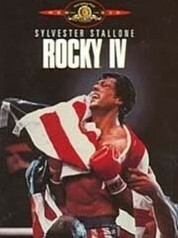 For me, the answer was running like Rocky.Some people say that Rocky is a typical American hero, i totally agree, and i like this type of hero, got a dream clear and definite, try his best to make it come true, never give it up.They beat you down, and you get up. They beat you again, then you up again…It’s really pain, but it make you stronger. You got these characters, you are hero, you are the man. Oh boy,it’s funny, and it’s my favorite.Jack Sparrow, the captain of BLACK PEARL.Why did this poor guy lose his pretty pearl again and again.Oh, Jack, you really should take care of your owner stuff more carefully.To be honest, i’m a biggest fan of Johnny Depp.He is a unique actor. Very beautiful, very perfect, but have always broken his pretty mold deliberately since the remarkable movie named”Edward Scissorhands”.Jack is definitely a funny guy.He’s hilarious.He always got himself in serious trouble, but every time he could make every stuff under control with his optimism and forethoughtfulness.What’t the most attraction of Jack Sparrow to me, unconstraint! Captain Jack Sparrow got his own understanding of ship, the spirit of adventure.Maybe the most amazing stuff in worldwide. 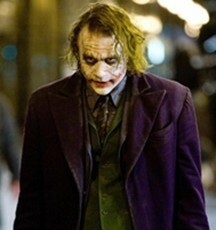 Maybe you suppose that the Joker, the freak guy was setting a good example for male, it’s ridiculous. In ancient China, people believe that”無欲则刚”(wu yu ze gang)，which means that you will be very tough if you got nothing desire. Maybe Joker is this type of guy, just too extreme opinion.He didn’t care pain, he didn’t care money,the reason why he commit a crime is crime itself.I have to thanks Health for contributing the unbelievable role,JOKER,to the whole world。Health, how did you do this?How did you make the role so lifelike, so impressive, and so true. You are the man with remarkable ability. heh, i have to agree with you there. men these days have become so sissy-like. thank goodness not all of them are. but still. 😀 i thought the sissy is increasing only in China. 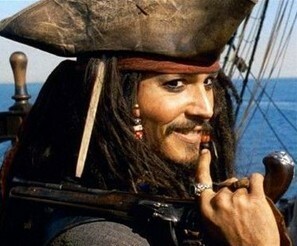 You know, ” The pirates of caribbean 4 ” is coming soon, the 20th of May, i’m dying to watch it, 3D. i watch the trailer somedays before, amazing, the Mermaid, the Zombie, the same jack sparrow. i just can’t wait to watch it. haha~~talking about the second , i didn’t really catch it from the start to the end. i didn’t quite understand the purposes of everyone in the movie, chaotic, and the end that jack was eatten by a sea monster really puzzled me, and the last footage that Barbossa comes back with a apple really made me like a idiot. So i had to watch it again, again, and again. haha~~you are right~but Johnny Depp did make sense to me, so did the adventure of pirates, so i was trying my best, using all of my wisdom to make out what was going on, it’s so hard for me , Jerry Bruckheimer, GOOD JOB!